Following on from the success of last year, plans to make this year even bigger are well underway! Some of the popular activities have already been booked, with some new ones in the pipeline too! 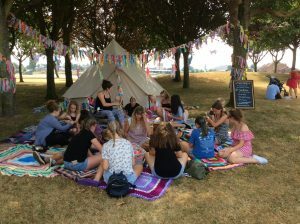 The scheme will kick off once again at Walpole Park on Wednesday 24th July and the hugely popular day on the solent will take place at Lee Seafront on Thursday 1st August. 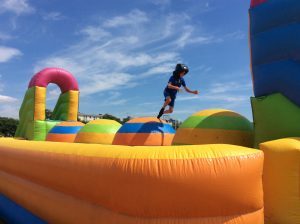 Leesland Park will host the final day of activities on Thursday 8th August. More details will be announced over the next few months, with regular updates featuring on the Gosport Summer Passport Facebook page (details at bottom of the page) including polls about activity choices. Local youth groups will also be consulted about what activities local young people would like to see as part of this years’ programme. 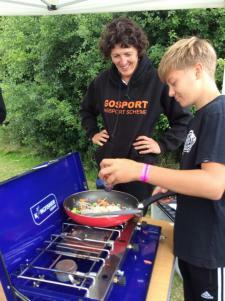 It wasn’t just the temperature that was hitting record high numbers, with hundreds of young people attending the scheme this year and hitting it’s highest ever participant numbers! 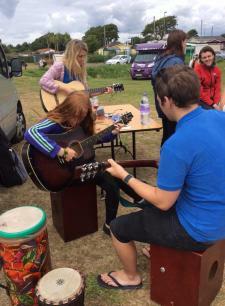 With just over 40% more young people attending than 2017, the scheme proves to be as popular as ever with participants enjoying some fantastic activities such as henna tattoos,inflatables, falconry, fishing, watersports, making dream catchers and lots more! The scheme is only made possible by a wide range of organisations working in partnership to help deliver the scheme, together with funding from Hampshire Police & Crime Commissioner, Hampshire County Council, Radian Housing & Gosport Rotary Club, donations from ASDA and free bus travel provided by First Bus. If you would like any other information about the scheme, please contact: sam.mitchell@gosport.gov.uk or 023 9254 5232. The 2017 Summer Passport was another resounding success with more young people registered than ever before. 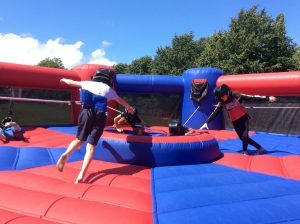 The first day at Walpole Park had record attendances with inflatables such as Total Wipeout and Grand Bounce kicking off the three week long programme. Despite some very wet weather, young people were determined to enjoy all that Summer Passport had to offer and even ended up with a make shift water slide on the bungee run due to the rain! The scheme was made possible by funding contributions from Hampshire Police and Crime Commissioner, Hampshire County Council, Radian and the Tesco Bags of Help scheme along wiht staffing provided by a number of local agencies including Gosport Borough Council, Hampshire Constabulary, Motiv8, Hampshire County Council and many more. An evaluation report was produced and can be available on request. 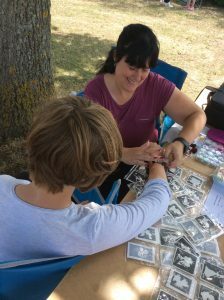 You can find photos on our Facebook page: www.facebook.com/gosportpassportscheme and our Instagram account – @gosportsummerpassport . For more information about the scheme, please e-mail: sam.mitchell@gosport.gov.uk or call: 023 9254 5232. Last years’ scheme was another overwhelming success, with hundreds of young people enjoying activities across the borough. 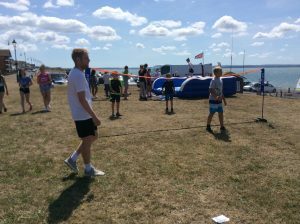 Some of the highlights included falconry at Fort Brockhurst, sailing at Lee on the Solent and staff v’s participants rounders games, which proved to be rather competative from both teams! The scheme also received visits from special guests including the High Sheriff of Hampshire, Police & Crime Commissioner, Mayor of Gosport and MP Caroline Dinenage. As well as special guests, the scheme was heavily supported by local services such as Motiv8, Y Services, Hampshire Constabulary, Hampshire Fire & Rescue, Gosport Borough Council, Hampshire County Council and Loud & Proud who all helped to staff the scheme. 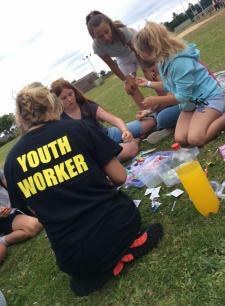 There were also many organisations who helped to deliver the activities such as Lee on the Solent Sailing Club, Alverstoke Tennis Club, Gosport BMX, Bay Community Hub and many more! 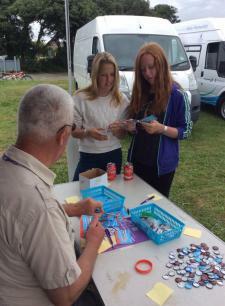 It is thanks to these organisations and funding awarded by the Police and Crime Commissioner, Radian Housing Association and Hampshire County Council that make Gosport Summer Passport possible. The full evaluation report is available upon request – please e-mail using the details below. Additional feedback is currently being collated and funding applications are being submitted to help fund the programme for 2017, which will be the tenth year of the scheme!